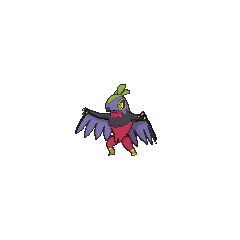 Hawlucha in game: 3,991 Who? Important notice! 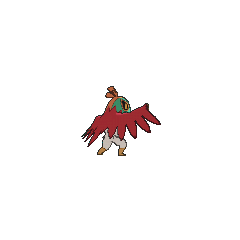 Pokemon Hawlucha is a fictional character of humans. 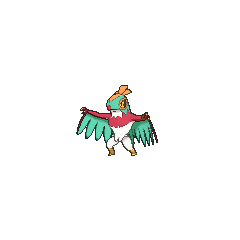 Hawlucha (Japanese: ????? Luchabull) is a dual-type Fighting/Flying Pokémon introduced in Generation VI. 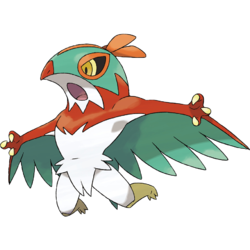 Hawlucha makes up for its small body with its proficiency in fighting, which allows it to keep up with bigger fighters such as Machamp and Hariyama. It deftly controls its position in the air by using its wings. A favored tactic is to strike from above, as many opponents have a hard time defending against this maneuver. 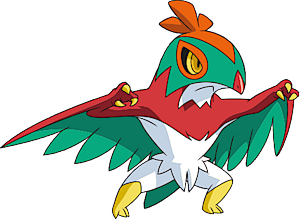 Prior to Omega Ruby and Alpha Sapphire, Hawlucha was the only known Pokémon capable of learning Flying Press. Ash caught a Hawlucha in The Forest Champion!. Prior to his capture, Hawlucha was the champion of a forest. Later, Ash challenged Hawlucha to battle with the condition that if he wins, Hawlucha will join his team. Although Hawlucha didn't lose the battle, he decided to join Ash's team. 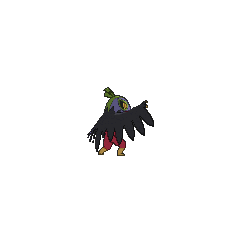 A Mirror World Hawlucha appeared in The Cave of Mirrors!, under the ownership of Mirror Ash. A Shiny Hawlucha appeared in When Light and Dark Collide!, under the ownership of Carl. 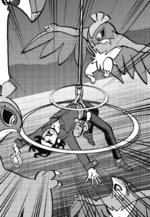 In the X & Y chapter Hawlucha Attack, four Hawlucha were used by Essentia to attack Professor Sycamore at Anistar City. They were soon defeated by X and his newly acquired Pinsir, Rute. Luchabull may be a combination of luchador and bull. Mandarin Chinese ???? Zhàn?dòu?fei?niao? From ?? zhàn?dòu and ?? fei?niao?